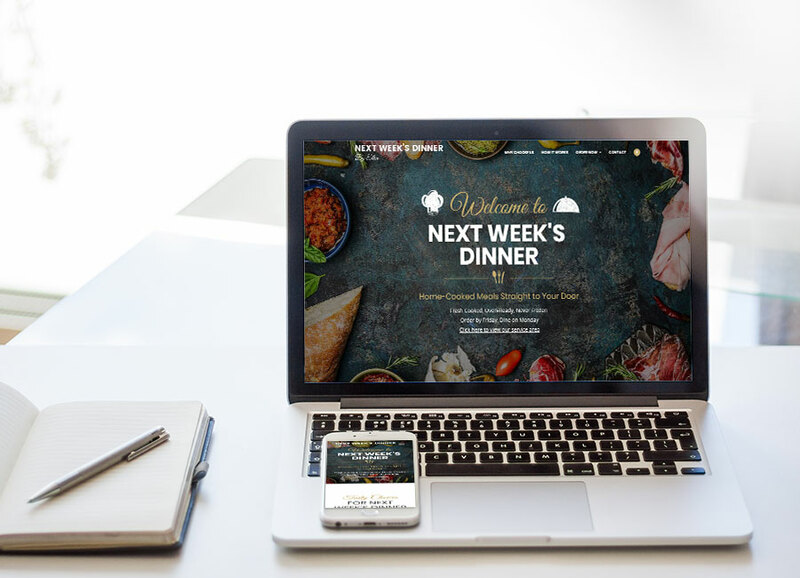 Working with A3K Advertising, I helped Next Week’s Dinner, a Denver-based personal chef design and launch an e-commerce website to support weekly dinner package sales. The e-commerce is tied to the company’s PayPal account and features easy email notifications that expedite order processing. 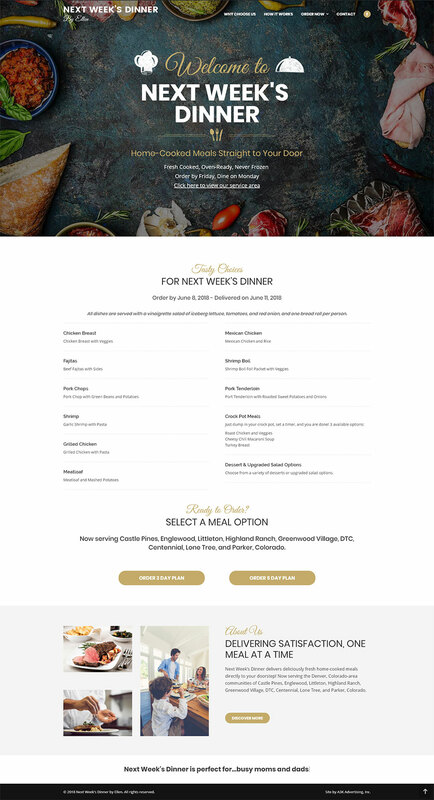 The website includes an innovative “hidden” menu rotation system where weekly menu options can be added for an entire 4-week period. As each week expires, simply disable the past week’s menu and select the next, immediately updating the entire order system. This helps cut back on administrative and planning time while easily keeping the dinner package menus fresh and up-to-date. Additionally, I created personalized training videos that walk ownership and staff through all of the site’s updating components –– a value-added bonus I provide to my clients at no extra cost. Client Next Week's Dinner & A3K Advertising, Inc.